What are the countries that first came to mind when thinking about IEM manufacturing? Most likely it would be China, USA, or Japan. Though China brands are particularly taking the lead in affordable or cost-effective IEMs, prompting many other manufacturers to work on affordable products. This ongoing trend led manufacturers from other countries to build solid reputations, one of them being AYA Audio from Vietnam. 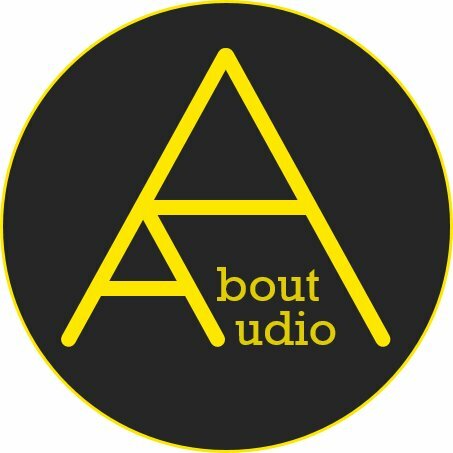 AYA Audio is an affiliated company derived from Soranik, another Vietnam brand that gained its popularity much before AYA did (a similar case with Shozy/Cozoy and Ostry/Simgot). While they are in a helping relationship, AYA Audio definitely aims for a different path from Soranik and they’re passionate about producing good quality IEMs for a reasonable price. Not too long ago they’ve released their first product, Nightingale YK-1. The packaging is rather small but nicely packed with eye-catching designs. The outer box is covered fully with creative pop arts and you could also see Soranik’s logo hidden on there. The accessories are rather simple, including the earphones, multiple pair of silicon tips, some paperwork, and a carrying case. The included case is compact in size and large enough to pack in the earphones, though due to the size the case would likely be unusable if paired with most custom cables. The earpieces are made of resin and available in several color options – green, blue, and orange. As far as I know, they aren’t providing more color or design options for the Nightingale. The entire body is finished with a holographic swirl with a bit of glitter added to it, resulting in an eye-candy appearance without looking cheap. It has a recessed 0.78mm 2 pin sockets and T500 width metal bores for the sound tubes. Nightingale is equipped with a single BA driver per unit and tuned the sound by adjusting the angle, dampers, and the metal bores. First off, I’ve expected Nightingale to have a rather flat or treble boosted IEM but it’s actually well proportioned throughout the frequency range. The ultra lows aren’t so vivid but show enough depth and weight on the sub-bass to lift up the upper frequencies. Overall the bass is tight and clear, providing quite an impressive performance for a single BA. Nightingale doesn’t have a particularly large staging but it knows how to create its own unique headroom. The slightly dimmed background with twinkly upper frequencies gives a compact but immersive experience. This greatly helps the upper frequencies to gain clear resolution without pouring in the quantity or brightness. Mids take a step closer than the lows and have a sweet yet accurate tone. As mentioned earlier, the vocals benefit much from this unique presentation and show good matching with both male and female vocals. The surface feels smooth and presents a decent texture to it. Upper mids slightly gain a crunchy bite to the texture which makes the sound more engaging and provides a slight freshness. The reverbs are adequately controlled and vocals have a neutral thickness. Highs are crisp and have a fast decay. The thickness is relatively thinner than the other frequencies, though it doesn’t get flimsy in presentation and stays clear. It also stays well separated with the vocals, keeping the atmosphere clean. Nightingale shows a clear difference in eartip / cable matching. Wide bore eartips such as JVC Spiral Dots produces a wider sound. Though for my taste, the sound would get a bit too soft so I prefer Acoustune AET08 or AYA exclusive eartips. These eartips have hard stems with a narrower bore, making the sound more concentrated and tighter in response. Pure copper sounded natural and seemed to work well with these. Pure copper cables generally increase the bass and keep intact with the original tonality, making it pretty ideal for Nightingale. The affordable choices would be PW Audio No.5 or Satin Audio Griffin. I remember myself getting interested in Nightingale and keeping track with AYA Audio, far before their official brand launch. Soon after the release, I’ve made the purchase although I was quite concerned about its quality and sound, not being aware of any sort of information other than the fact that they were somehow related with Soranik. Turns out Nightingale is a sweet looking IEM packed with charms. Not the best for bassheads or orchestra-like genres, but should be a great choice for those who enjoy jazz, ballad, and pop genres. Would also recommend for those who prefer a comfortable, simple yet clear sound. AYA Audio just released two new IEMs and I’m looking forward to see how they would grow this brand. AYA Audio Nightingale YK-1 has been purchased by myself. I am not affiliated with AYA Audio and none of my words were modded or asked to be changed.